If you are cruising through Lebanon or West Lebanon, and suddenly you glance in your rear-view mirror and notice flashing blue lights, you should pull over as quickly as possible. Don’t stress out. You’ll no doubt be greeted by one of the professional and friendly officers of the Lebanon police force. 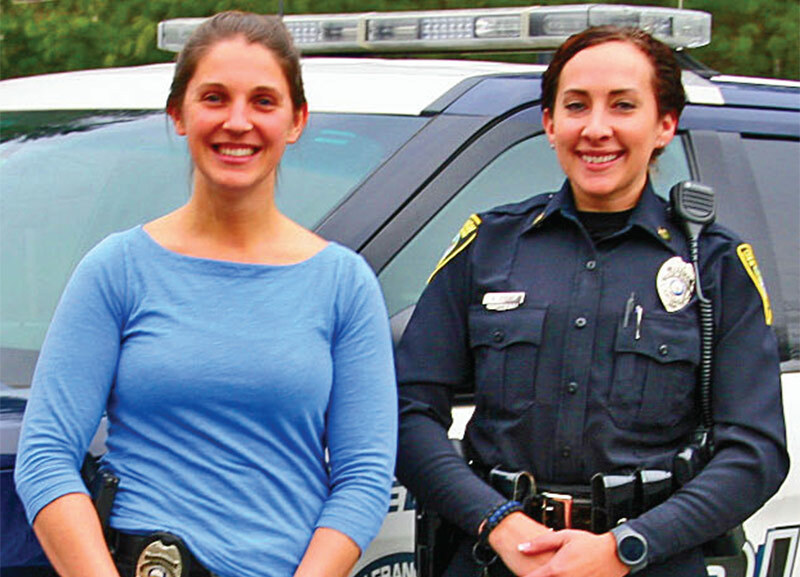 Women in law enforcement is nothing new, but it has been a growing trend throughout the United States for some time and the City of Lebanon is certainly no exception. Just how long? Women have served in organized law enforcement in our country almost from the beginning. Today we are discovering the advantages of deploying both female and male officers, capitalizing on the synergy that develops when the gifts and talents of those crime fighters are combined. Lebanon currently has three active female law enforcement officers and one on a leave of absence. That represents about 10 per cent of the total Lebanon force and the number of female officers is expected to rise in 2018. That blends well with the national scene for law enforcement. You may have seen them around town, so the Lebanon Times is offering you an opportunity to meet our female officers up close and personal. Amy is a 32-year-old wife and mother of three children who currently reside in Claremont. 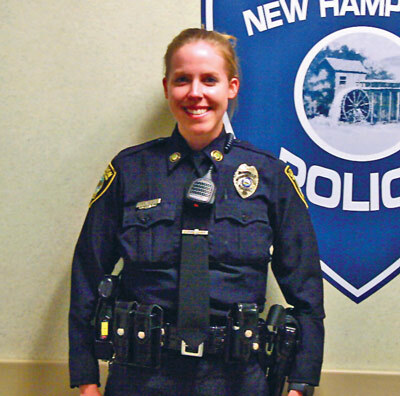 She worked 4½ years for the Claremont Police Department before transferring to the Lebanon Police Department in June of 2017. Her husband Zachary works for the City of Charlestown. They have daughter Morgan (age 7) and Oliva (age 13) and a son Ethan (age 9). Amy was born in Denver. Like many of her counterparts, Amy was attracted to a career in law enforcement at a very young age. “My father was in law enforcement so I kind of grew up around it,” Amy explained. “I really enjoy the interaction with the people and here in Lebanon the community is very supportive. They make you feel welcome. I just love to come to work each day. While Amy has taken the oath to serve and protect, she is quick to point out that law enforcement for both men and women offers a rigorous daily routine. Emily is one of the youngest officers on the Lebanon Police force at the tender age of 23. 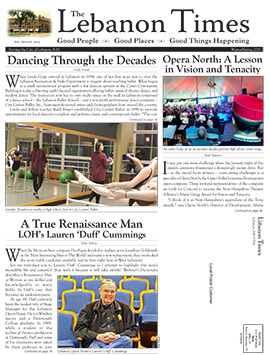 She has been with the Lebanon Police force for 1½ years and has brought her youthful enthusiasm to the new endeavor. Emily had lived in Warwick, NY. which is in the Hudson Valley area of New York and her transition to the Granite State and the Lebanon community went smoothly. Emily is single and states that in her off-duty time she likes to keep herself “busy” as she explains and is fond of hiking. She definitely likes what she sees going forward. Callie Barret has been on the Lebanon force the longest of the three active female officers and will celebrate her eight-year anniversary in law enforcement. She is 30 years old and started out as patrol officer before taking the exam and being elevated to the rank of detective. Callie admits that she must assume additional responsibilities along with varied duties in her new position. Callie is single and had purchased a house here in Lebanon back in 2012. She has developed a special relationship with the Lebanon area and the community at large. Welcome ladies! Women are able to be a police officer, just as men are. I have nothing, but the highest respect for law enforcement. I was a 911 dispatcher in Lebanon years ago. I know your job is very rewarding. The Upper Valley is a wonderful place to work and call home. I have lived here all of my life. The best to all 3 of you.